Another great mom-owned business . . .
Pocket Baby is a fairly new boutique that offers quality handcrafted infant/toddler onesies and tees. Their featured item is a line of solid baby bodysuits and t-shirts that are adorned with a functional but decorative front pocket. I am looking forward to their upcoming lines of infant/toddler dresses and pacifier clips. 1) I was extremely impressed with the workmanship. Even after the shirt was washed, the pocket and seams still lay flat and smooth against the body. 2) The t-shirt itself is very soft and constructed of heavy weight cotton. 3) After being washed in cold water and dried in the dryer, the shirt shrank in length maybe one centimeter. It was an insignificant amount and not noticeable at all. Although I am extremely pleased with the shirt we received, I would love to see more prints offered from this children's online boutique in the future. This was a very high quality clothing item and I would not mind owning two or three different ones. 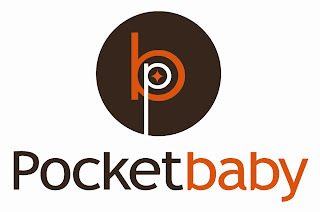 Thank you to Pocket Baby for providing us with both a review item and a contest prize free of charge. The prize for this contest is one Pocket Baby onesie or t-shirt (Winner's Choice). This giveaway is open to U.S. addresses only. You do not need to be a blogger to enter, but you must have a valid email address. If you enter anonymously and do not include a valid email address in your comment entries, I will not be able to notify you should you win this random drawing. You MUST do #1 to be eligible to win the prize. After that, #2 thru #7 are optional ways to gain extra entries. Please leave a separate comment for each entry. 1) Visit the Pocket Baby website and leave a comment telling me which Pocket Baby onesie or t-shirt you would choose if you won this contest. 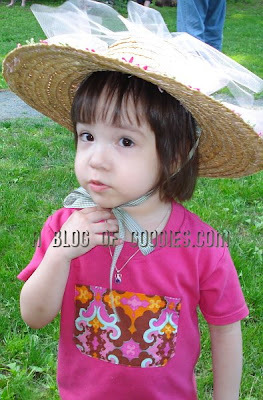 2) For 10 extra entries, blog about this giveaway linking back to this post and PocketBaby.com . Then leave TEN separate comments with the direct link to your blog post. 3) Follow me on Twitter! Then leave a separate comment with the link to your Twitter Profile. 4) Earn 1 extra entry each time you Tweet about this giveaway. Then leave a separate comment with the link to your post on Twitter. You may do this once per day provided you leave a separate comment with a link to each tweet. 6) Subscribe to this blog via a feed, email, or by following on Blogger. Then leave a separate comment telling me you did so. 7) Add this blog's link or button to your blog's sidebar for an extra entry. Then come back here and leave the URL to your blog in a separate comment. This contest will be closed on Monday, June 29th, 2009 at 11:59pm EST. A random number drawing will be held shortly after. The winner will be announced here and will be contact via email or through their blog. If the winner does not respond within 48 hours, a new number will be drawn.